Only two products on the market combine human tissue sourced from the amniotic/chorionic membrane, umbilical cord AND placental disc —Dermavest® and Plurivest®. This combination delivers a myriad of cell attachment proteins (CAP) including collagen, proteoglycans, polysaccharides and cytokine/growth factors (GF’s) that, combined with the structural aspects of the placental connective tissue matrix, act as a scaffold for cell infiltration and proliferation. Supplementing amnion and chorion with umbilical cord and placental disc tissue drives a novel therapeutic response in the varied In Vivo environments to whichDermavest and Plurivest are applied. Placental tissue has been used for reconstructive and surgical applications since the early 1900s. In recent years, application of amniotic membranes has expanded to the treatment of chronic ulcers and soft tissue applications. Placental tissue products have been shown to elicit a markedly different profile of proteins than other classes of skin substitutes including porcine intestinal submucosa, cadaver skin and collagen based wound coverings. 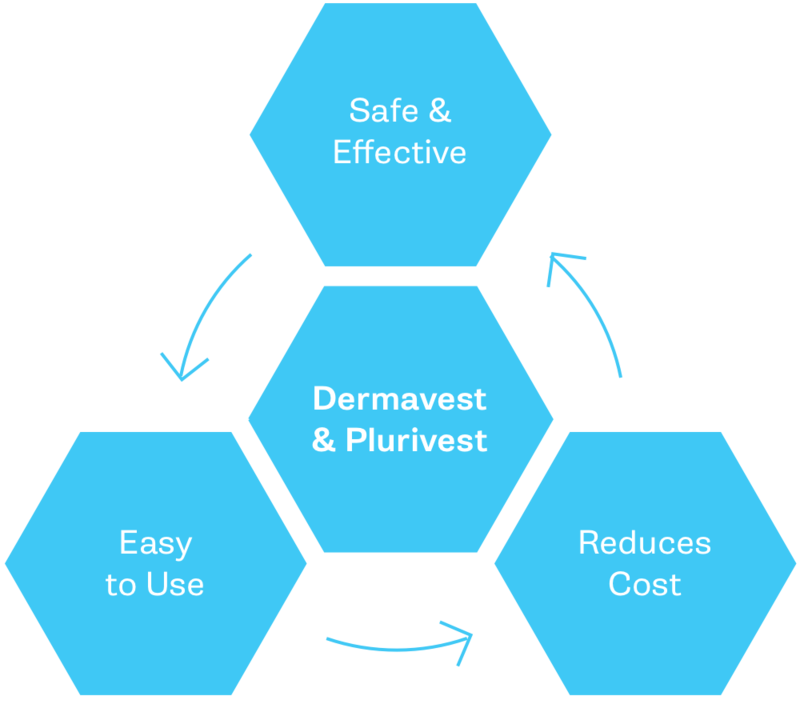 The attachment protein and cytokine/growth factor profile of Dermavest and Plurivest are unlike anything that is being offered in the market today. In Vitro studies demonstrate that Dermavest and Plurivest support the proliferation of Type-1 Collagen, Fibroblasts and Mesenchymal Stem cells.